Who do you report injuries or near misses to? Who is responsible for safety at McLeod? A SECOND LOOK AT SAFETY 2nd Quarter 2016 (Turn in completed puzzle to Brett or Ginger by Tues., July 12. Drawing for $25 gift card will be July 14. 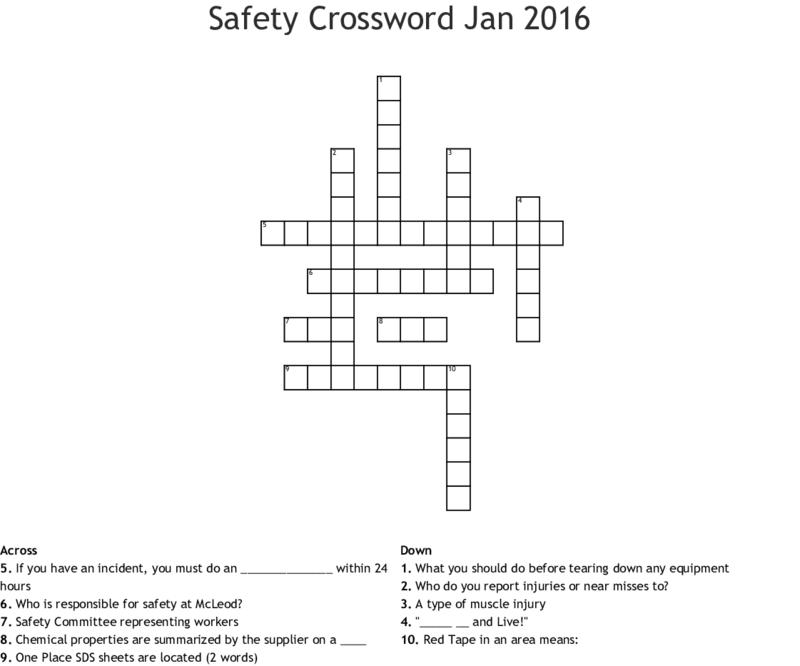 A SECOND LOOK AT SAFETY 2nd Quarter 2016 (Turn in completed puzzle to Brett or Ginger by Tues., July 12. Drawing will be July 14.